10am departure from Broadview Subway Station. Meet at the parkette on the north side. 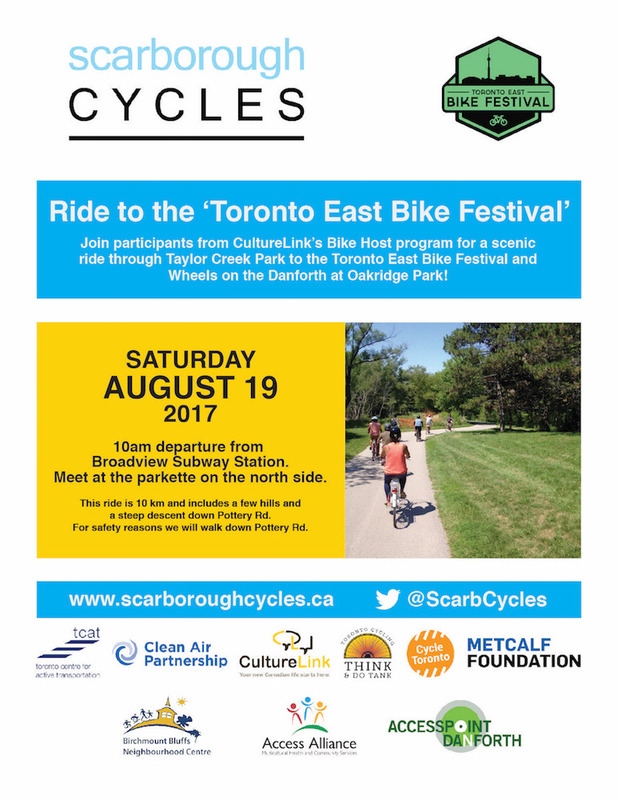 Join participants from CultureLink’s Bike Host program for a scenic ride through Taylor Creek Park to the Toronto East Bike Festival and Wheels on the Danforth at Oakridge Park! This ride is 10 km and includes a few hills and a steep descent down Pottery Rd. For safety reason we will walk down Pottery Rd.